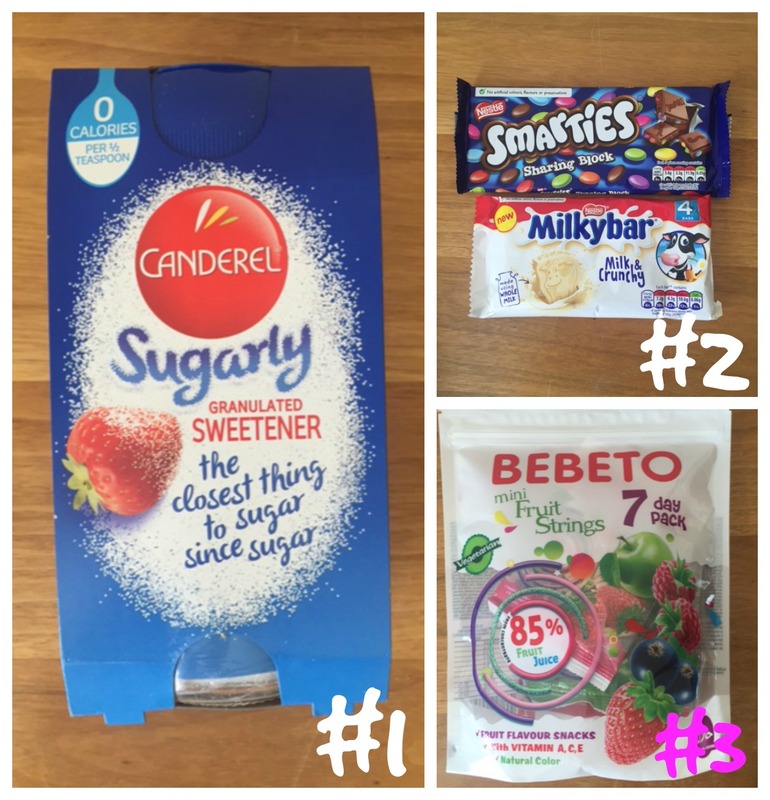 #1 The new Canderel Sugarly tastes like sugar and looks like sugar but with zero calories. Use it in hot drinks, sprinkle on fruit and cereals or even cooking and baking, to maintain a healthy balanced diet without compromising on taste. So it seems like i am pretty much one if the rare ones who don’t diet in my friends circle so this sweetener came in really handy when we had friends from school over for a playdate and i could offer the mum a tea with the new Caderel Sugarly granulated sweetener she said it tastes really good! #2 The SMARTIES Sharing Block combines delicious milk chocolate with whole, crispy sugar shell mini SMARTIES. Containing no artificial colours, flavours or preservatives! Now who doesn’t like smarties it really doesn’t matter how old you are those are always a hit so the new smarties sharing block seems like a adult version of a smarties treat and tastes delicious! #2 New MILKYBAR Milk & Crunchy, a perfect sized bar which kids will love! A fun cow shape with a delicious creamy & crispy centre adds excitement, with all of the milky taste that both Mums & Kids enjoy. It is available in a single bar and a multipack (4 bars). I am a huge white chocolate fan so once again i decided to test those on my own (bad mummy!) and have to say there just as fab as there sound! #3 Bebeto Fruit Strings has been awarded The Product of the year for its innovative use of fruit juice and reduction of processed sugars with the added benefit of it being suitable for vegetarians and vegans. The kids loved those a great car snack when on the go and their favourite ones where the strawberry and raspberry ones! #4 The Green Lady modern restyling of an ancient beverage, using Green Darjeeling tea leaves and an assemble of the finest natural ingredients; to create a calming and entertaining alternative to alcohol. This is healthy drinking with style. I am not such a huge Tea fan so this wasn’t to my taste at all. #5 Derbyshire spring water enriched with amino acids, Rejuvenation Water is specifically designed to deal with the rigours of modern life. The unique amino acid profile has been shown to fuel the immune system and build a natural resilience to stress, depression and anxiety. The taste of the mince was a little bit too overpowering for me in this drink. 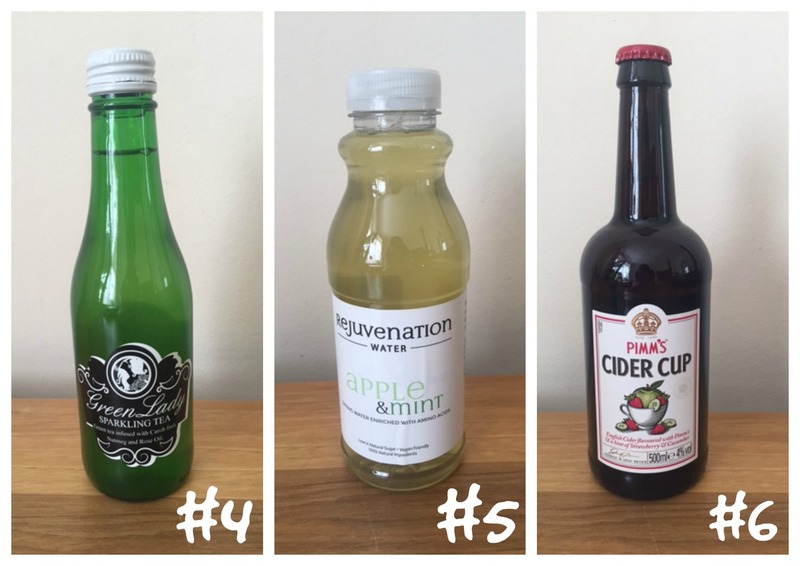 #6 Enjoy the crisp refreshing edge of English cider with the legendarily glorious flavours of Pimms Cider Cup…. Oh, and it wouldn’t be Pimms without a hint of strawberries and cucumber.Simply pour straight from the bottle onto lots of ice, and enjoy with friends wherever, whenever. We had friends over at the weekend so i happily shared my first ever Pimms Cider Cup of the Summer 2016 with my friend and we both rather enjoyed it next time i make sure i have plenty of fruit and cucumber in the house to make it even better! #7 Veetee microwaveable rice range is the ultimate mealtime solution. Whether you are trying to conjure up a meal from the contents of the fridge, or find an innovative way to use up leftovers we’ve got a rice for that. 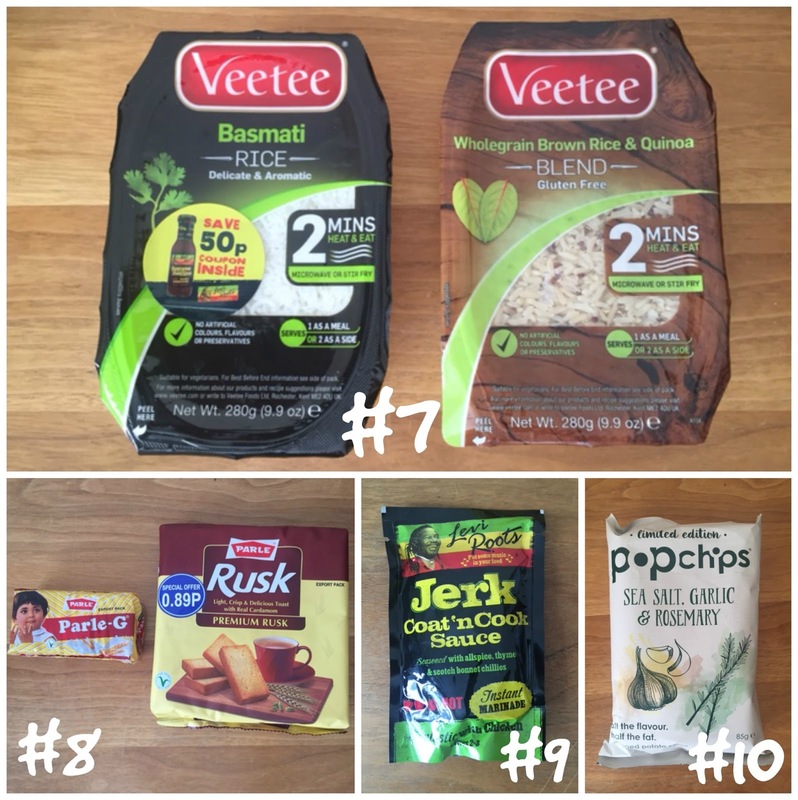 We received the Basmati Rice and a Wholegrain & Quinoa Rice whilst the kids went for the basmati version i tried out the wholegrain one (after all even though i don’t do diets there is nothing wrong with eating healthier!) both tasted nice and soft and went really well with our curry! #8 Parle G is the largest selling biscuit brand in the world. Filled with the goodness of milk and wheat, Parle-G is a source of all round nourishment. Treat yourself to a pack of yummy Parle-G biscuits to experience what has nurtured and strengthened millions of people for over 87 years. #8 Parle Rusk – Crispy and crunchy toasts made from the choicest of ingredients. Baked to perfection and enriched with Cardamom, it’s the perfect companion to your daily cup of piping hot tea. While the delicious snack will appeal to your taste buds, the distinctive packaging with a contemporary look and feel will make you want it all the more. I love rusks so this one didn’t disappoint and tastes lovely with a nice sweet hint to it! #9 Lord’a Mercy! Levi Roots’ fabulicious Coat ‘n Cook sauces add big, bold flavours to your meal easily. No marinating necessary – Simply pour over chicken, ribs or fish and cook straight away! Available in 3 delicious Caribbean flavours: Jerk, Ginger Beer and Smokey BBQ. One love! I cant wait to try this out at our next BBQ which probably will be held at my BIL and the boys in our family all love a bit of a spice to their meat so this will defiantly go down well! #10 New to the Popchips family are award winning sea salt, garlic & rosemary and sea salt, caramelised onion & thyme. Both new Limited Edition flavours are full of flavour and crisp in crunch, delivering a naturally delicious, lighter snacking alternative with all the flavour of fried crisps, but less than half the fat. Overall we liked 10 items out of the 13 in the Box and thought it was a well balanced box although i would love to see more fruit juice in the future instead of favoured water bottles! 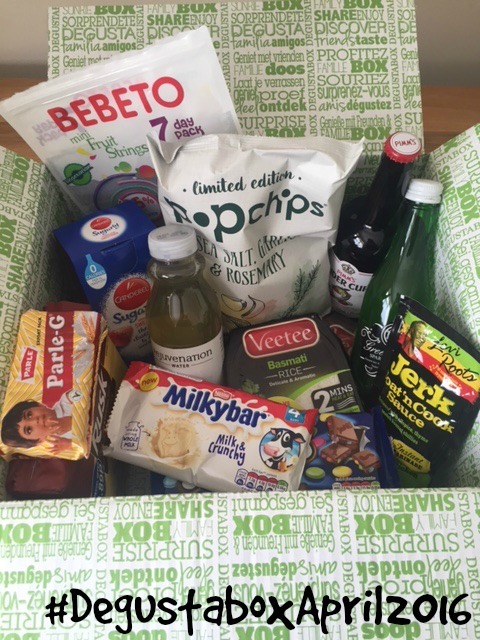 Disclaimer: I have been sent the April Degustabox for reviewing purposes, but all thoughts and opinions are mine.